HALLOWEEN is Here!!! It's time for Halloween! Trick or Treat?! Each year in October, the spirit of Halloween inevitably dominates in many countries. The shops' windows are decorated with pumpkins, bats, cobbles, other strange decorations, masks, various costumes for themed parties, and many other Halloween attributes to remind us that October 31 day is a special day. What to do on Halloween evening? Of course to watch a new just released horror movie - HALLOWEEN. The legendary maniac, Michael Myers, created four decades ago by the director John Carpenter comes back again !!! This time for the creation of the new film, which becomes a direct sequel to the 1978 film, was responsible director David Gordon Green famous for the dramatic crime drama Joe and the sensational real-life story Stronger. The first Halloween series that appeared in 1978 immediately became a cult. Four decades later, director David Gordon Green returned to the cinema screen not only the story of the horror classics but the actors who were seen in the first film were also featured in it. John Carpenter himself produced the HALLOWEEN and created the music. The first Halloween movie was the beginning of his career, and he has created a legendary soundtrack, making famous the composer around the world. 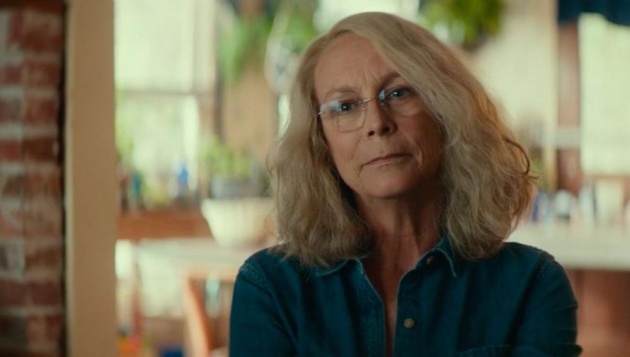 Creators of HALLOWEEN convince us that this part is the last of the franchise counting ten films, but loyal fans were hoping that the story will not end so easily. These talented and serious men decided not only to revive the legend of the film but also to present the viewer with such a slasher that we have been waiting for decades. And so, evil inevitably returns, and it cannot be controlled. It can be temporarily destroyed, shot, burned, but it will still return inevitably. Michael Myers did not finish his job in Haddonfield, and he will soon be back home to kill again. Let's watch! John Carpenter's Halloween, appearing on cinema screens in 1978, cardinally changed the horror movies genre. Thanks to this film, the popular film slasher, which describes the massacre theme films, was born in mass culture. Of course, the first real slasher was the 1974 Tobe Hooper's bloodthirsty film The Texas Chain Saw Massacre, but it was more of an experimental attempt to shock the audience, rather than giving it a tense pleasure of observing maniac rages and at the same time concentrating into his personality. That's why Halloween has become the father and source of inspiration for future films of this kind, thanks to which we got many great horror movies. All of these films (Friday the 13t, A Nightmare on Elm Street, My Bloody Valentine) have had very similarities with John Carpenter's film, but none of them was able to match it. It's always easier to copy what has already been created. Halloween itself became a very important cultural phenomenon in the homeland. This was especially noticeable on October 31 when children and teenagers went to the streets to ask for sweets wearing William Shatner's mask. The budget for the first movie was so modest that the developers had to improvise, and they bought a mask from Captain Kirk (The Startrek), just painted it in white. That's how was born the cult image of Michael Myers. The first Halloween movie, with a budget of just 300 thousand dollars, the largest part of which went to the rent of equipment, alone made at home stunning $47 million dollars. This popularity of the film has led developers to make a sequel. The first of them appeared in 1981, and the last one twenty years after the original film appeared. 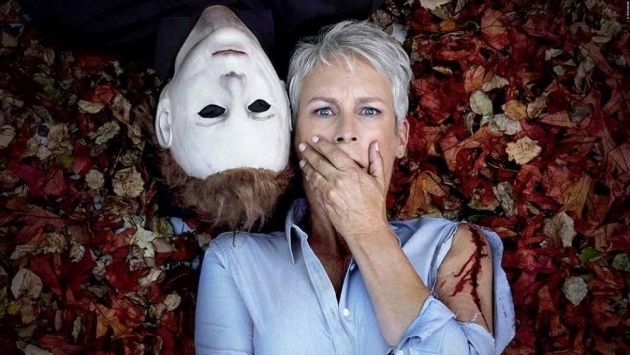 In general, the Halloween series has got even seven sequels that all were worse than the first one. Revenues fell with the quality of each film, so a decision was made to stop Michael Myers' adventure for a while. And only in 2007, it was recovered again on the screen. The film, in my opinion, was really good, with a frightening atmosphere and an exact concentration on the very same Michael and his psychological portrait and relationship with the mother. Unfortunately, I cannot say the same thing about its sequel. It was one of the worst series of film. It also could not boast of its financial achievements, which meant that the third part had been forgotten for several years. The project rebounded in 2012 when Miramax began to think about the third part of the production line, which was called Halloween 3D, and its director again became Rob Zombie. But wishes remained just wishes. The lack of funding has frozen plans for a Michael Myers' appearance on cinema screens for several years. And only in 2017, when the most successful Hollywood producer Jason Blum and his low-budget horror movie company Blumhouse decided to intervene and suggested the idea for a new film, the green light was given to the project. Also, the original filmmaker John Carpenter so liked the idea of the new HALLOWEEN that he expressed a desire to contribute to the creation of the film as a scriptwriter's advisor, composer, and producer of the soundtrack. Such a powerful team should succeed with a great film. And now, after such a long introduction to present the original film and its sequels, it's time to go to the true essence of the HALLOWEEN. After the famous massacre has passed more than forty years, but local people still remember that time when whole families died from monster's brutal massacres. The psyche of the man was too disturbed to cope with the awareness of what he is doing. The maniac, having once killed a man, began to feel a constant thirst for blood, so people, who got into the hands of this sadist, inevitably became victims of bloody massacres. One day, Michael Myers (Nick Castle), in the Halloween night, attacked teenagers, one of which managed to escape. Despite the fact that her sister failed to escape the violence, the little girl was able to cope with herself and run away. It was the last murder of the maniac at that time. The police managed to arrest Michael. The protagonist of the film was fully surveyed and found to be a psychopath, which made the man placed not in jail, but in a psychiatric clinic. In the walls of this institution, he must spend the rest of his life and never again will the maniac walk in freedom. Forty long years passed. During this time, the little girl who once escaped from the murderer's hands grew up and became a woman. The main character of HALLOWEEN has her own family: adult children and even teenage grandchildren. Everything seemed to be great, and the past resentment should remain there. But no. Throughout her life, the woman remembers the case and dreams of meeting with the maniac. She is daily training herself in shooting at the target, carefully preparing for revenge. 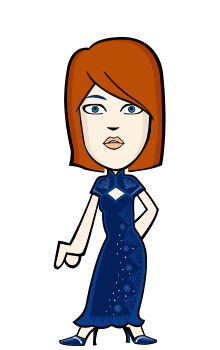 She lives in a fortress house, armed with an impressive arsenal, which she mastered perfectly. Somewhere deep down, she knows that there will come a moment when she revenges not only for her sister's death but for all the rest victims. And finally, after so many years, this moment has come. Myers could no longer tolerate mockery and experiments over himself in a clinic, where he was not considered a man, and one day he manages to escape from the clinic. The man was eager to complete a deal that began many years ago. In his eyes, there was always a little girl who managed to escape. Now he intends to find and kill her. And only the meeting of these two people will be able to show whose revenge is stronger. And now a quiet town at the coming Halloween will again be enveloped by chaos and flooded with blood rivers. Laurie Strode is ready to fight but is she ready for what waits for her again at Halloween night? 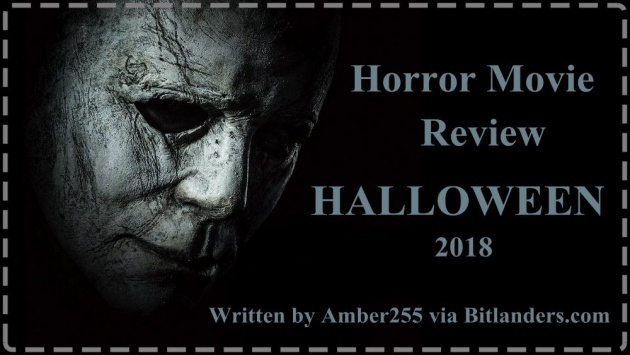 The 2018 HALLOWEEN is a movie that has become a direct extension of the original storyline. It is therefore advisable to watch 1978 film before the preview of the new one. All other parts that came out after the first movie can be ignored. So if you do not have enough time, you can not watch them. The film begins perky, which generates a good enough tension from the very beginning, which only grows over time. Thanks to the tension, a fearsome and uncertain atmosphere, which was typical of the predecessor four decades ago, is maintained. And it's amazing because when it comes to this movie, it seems like we're back to those times when the slasher style has just begun. Therefore, it is only because of the atmosphere and its presentation we can say that this film gives tribute to the original. And as a fan of such old films, I really liked it. But, on the other hand, given the contemporary trends in the horror movie genre, such a solution of developers can become a problem for a new generation of viewers who have become accustomed to other slasher films like Truth or Dare, Another You or The Saw. In addition to the mastery of the atmosphere, much of the attention is paid to the heroes themselves: survived Laurie Strode and, of course, Michael Myers. Their confrontation is worth applause in this film. First, let's talk about Laurie. It's not that girl who barely avoided death from Michael's knife. She is now a solid woman who has been waiting for the moment when the monster will come back, the monster who took the lives of five people during the 1978 Halloween feast. The presentation of Laurie herself is very similar to the two cinematic women as Sarah Konor or Ripley. They, like Laurie, were also fragile in the first films, but they were absolutely different in the sequel. This is another plus for the developers, who managed to pay tribute to such a type of strong women, which was very relevant in the 80's and 90's. 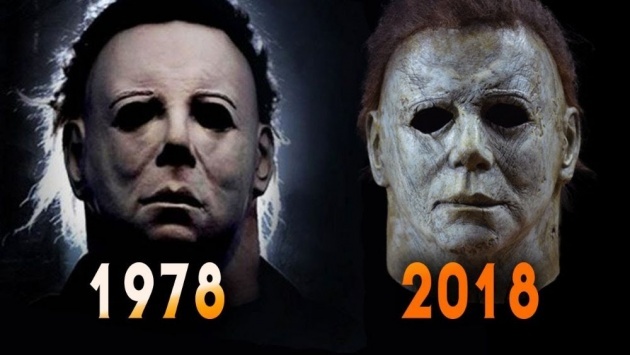 Michael Myers is exactly the same as in the first film. Nothing speaking, acting secretly and always appearing wherever it is needed. And in this place, it could be said that it is a typical bag of clichés. But let me ask from what started this approach to almost immortal maniacs? Yes, right from Halloween! Therefore, to criticize the creators for their desire to create a very similar film to the original, both in their atmosphere and in the plot line, I would not dare to. Because this is the true real return to the source. As for other important characters on the film's plot, there were some interesting ones. It's a pity that Doctor Samuel Loomis is not here. Actor Donald Pleasence is dead; it is truly great that his incarnated character was not performed by anyone else. Therefore, instead of the legendary doctor, we got a new replacement, Dr. Sartain, who is also coping with his mission of presenting Michael as a real monster. 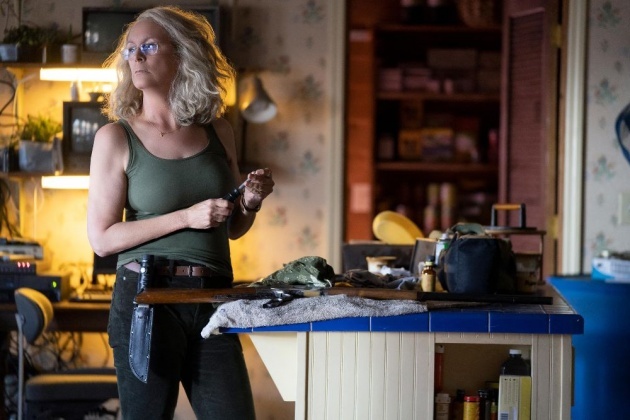 Laurie Strode's daughter and granddaughter are typical women who think that their relative is crazy with her beliefs that Michael will go over her threshold one day. In addition to these personages, there are other heroes who are becoming victims of Michael. I will not disclose who dies in this movie because it will not be so interesting to watch it. The horror in this film is specific. Each person takes horror individually, so I will not push you through my personal prism. I was not personally scared, nor I felt disgusted when Michael killed people, but the tension in this film affected me a lot. When you do not know when the monster will come out from the corner is really uncomfortable. Exactly this uncomfortable waiting was the most shocking part of this interesting and well-told story. But this is just for me. To sum up, because I really do not want to reveal any details related to the storyline of this film, I can say that this is not only the best part of the Halloween series after the original one but also the best-ever-seen slasher movie sequel to me. This movie is a great way to give a tribute to the four-decades-old cult movie. The technical and genre components of the movie work almost flawlessly. I cannot imagine whether there are people who like movies but have not heard the cult melody of John Carteret for the original Halloween. 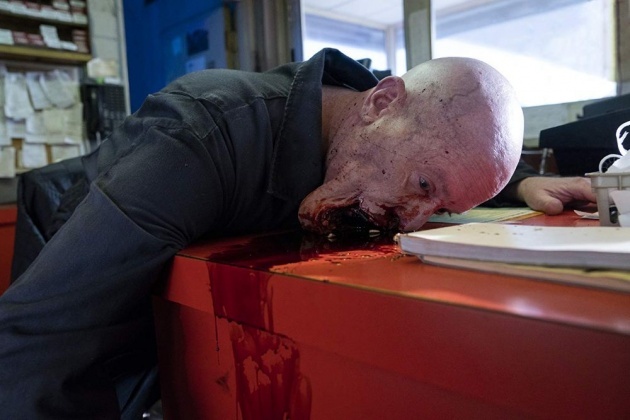 The creator of the predecessor also wrote music for the new movie, which has repeatedly forced the skin to shiver. Each musical composition in the film was tense so masterfully that the scenes in which they sounded gained even more charisma and added extra tension to the unequal struggle with Michael Myers. The camera work is fantastic. All the scenes with Michael were filmed from several very interesting perspectives: Michael, his victims and, of course, uncertainty. The uncertainty becomes a tool for the growth of tension, and it gives the viewer a gradual view of violence in this film. The film got N-18 in our country because there are a lot of scary scenes. Visually - makeup, hairstyles, hero costumes, and the overall environment also add charm to the film. It looks like you are watching an old version which is going in current time. I was pleased with sound edition too because it was strengthened where it was most needed - in crackdowns. Video editing is great. The story is developed seamlessly, but at the same time, the viewer is allowed to experience nostalgic feelings in memories, which are also very relevant in the film. Actress Jamie Lee Curtis in a role of Laurie Strode has convincing enough played this cult figure. In the eyes of her character, it was possible to see the fear and desire to cope with Michael, which made her hero radically different from the other series of films. It's obvious that the actress was really trying to express more creativity to the Laurie Strode character. Remember the first Halloween became her not only debut in the big cinema but also the door to Hollywood films. This film now became her memorable return to the cinema. Laurie counteracts the Myers' insanity and stubbornness with the same stubborn readiness to struggle to the end. No other character in the film fights with the same fury strength as she does, which is particularly well seen in the final fight. This is a very interesting transformation, and Curtis in a new role is amazingly convincing - she really has succeeded in portraying a person who, on the one hand, cannot cope with an old trauma, and on the other, uses it as a resource that allows her to become stronger. On the second-rate roles, we could see Judy Greer, Andy Matichak, Haluk Bilginer, Will Patton, Rhian Rees, and Jefferson Hall. Their acting was good, so there's really no criticism. Everyone was in their places and performed standard roles of victims and persecutors. 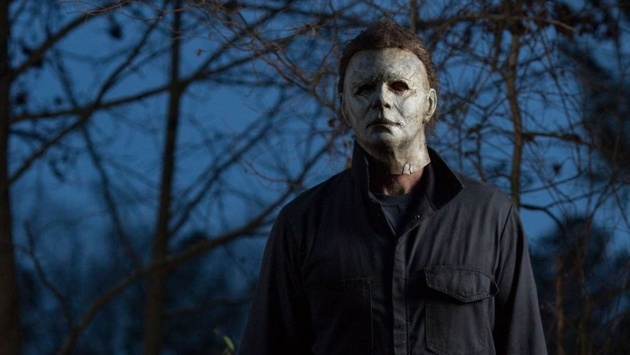 HALLOWEEN is not only the best part of the cult movie series after the original but also the best ever slasher movie that we've been waiting for exactly four decades. The film will keep you in the tension up to final titles. There is a particularly fearful atmosphere with enough engaging action, a memorable soundtrack, and a very powerful looking final fight between legendary Michael Myers and Laurie Strode there where it all began at the 1978 Halloween night. The film is a living and sincere ode to the original with its modern advantages. The new Hollywood film HALLOWEEN is hard to call a very scary movie, but it is definitely very good. The plot initially spins slowly, but it is offset by great acting actors and an interesting script. It's hard to find what to criticize here, so welcome to watch the HALLOWEEN. HAVE MUCH FUN AT HALLOWEEN NIGHT!